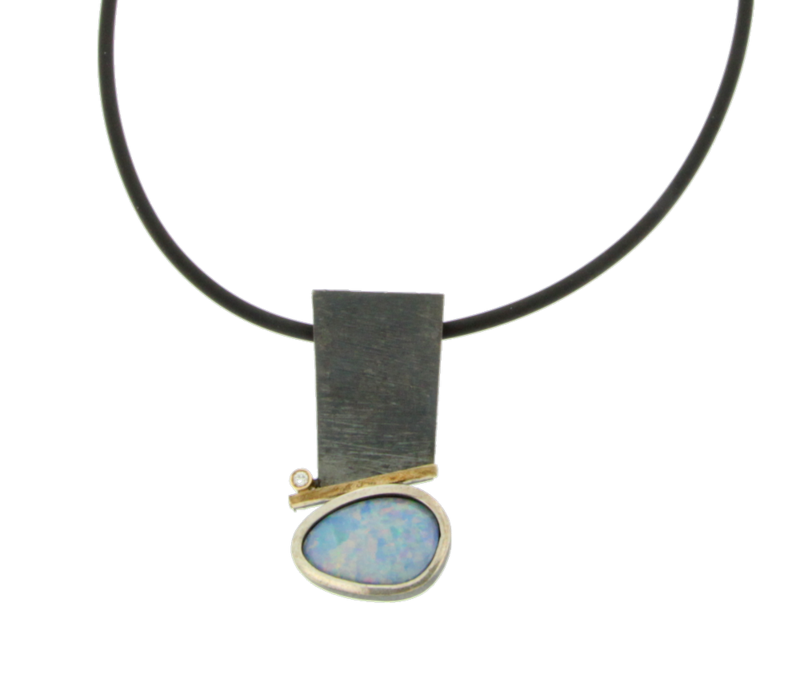 Suspension of silver design and gold of 18 carat stone natural Opal. Embedded brilliant-cut diamond. It also includes an cautxo with carabiner clasp cord.